Employees on the go can enjoy all the benefits of remotely accessing applications and data from their BYOD / mobile devices as if they were in front of their computers. Top industry adoptions include 3D, CAD, CAM, design, education, government, manufacturing, healthcare, and mobile workers who traditionally use RDP / VPN. Top performance streaming and touch screen experience means mobile workers can quickly and easily use office productivity, line of business, 3D graphics, and customized Web applications from home or from the road. Over 18 million users enjoy Splashtop’s range of high performing and highly rated remote access products. 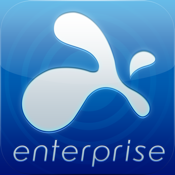 Here’s what App store customers say about how Splashtop Enterprise benefits their organizations. ***** "Our employees no longer need to tinker with different incompatible VPN clients and RDP apps. We estimate that we'll be able to save over tens of thousands of dollars every year."